Halibut - Deep sea fish Cook Inlet for these flat fish from May through September. 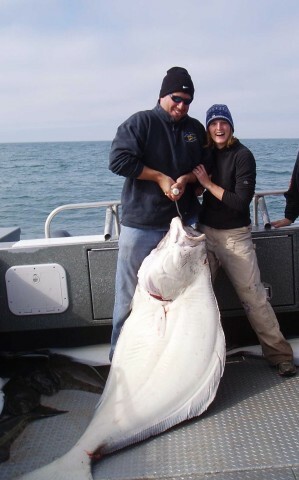 Halibut average 35 pounds with catches of 60 pounds caught daily. The world record halibut was taken from these waters in August 1987 weighing 466 pounds.